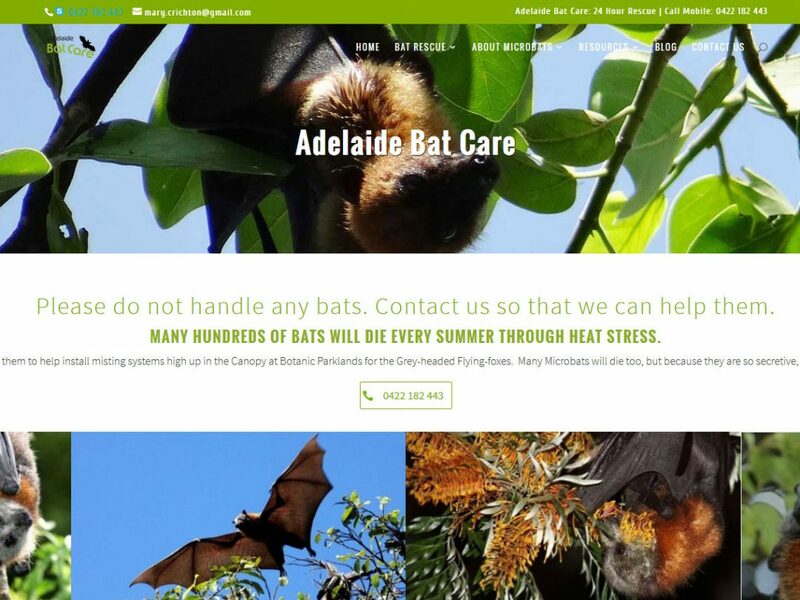 We got the task to update and add content to Adelaide Bat Care. The website was already a WordPress website but a little bit dated as it was using a framed concept and limiting the area on the front page where we needed to add so much content and a continuous flow of news and information. Adelaide Bat Care informs about what to do when you find an injured bat and so much more. Please visit their visit to read and see some of the great content.